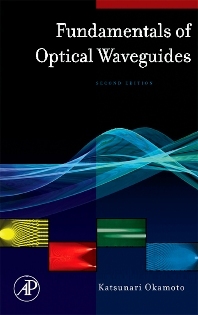 Fundamentals of Optical Waveguides is an essential resource for any researcher, professional or student involved in optics and communications engineering. Any reader interested in designing or actively working with optical devices must have a firm grasp of the principles of lightwave propagation. Katsunari Okamoto has presented this difficult technology clearly and concisely with several illustrations and equations. Optical theory encompassed in this reference includes coupled mode theory, nonlinear optical effects, finite element method, beam propagation method, staircase concatenation method, along with several central theorems and formulas. Since the publication of the well-received first edition of this book, planar lightwave circuits and photonic crystal fibers have fully matured. With this second edition the advances of these fibers along with other improvements on existing optical technologies are completely detailed. This comprehensive volume enables readers to fully analyze, design and simulate optical atmospheres.